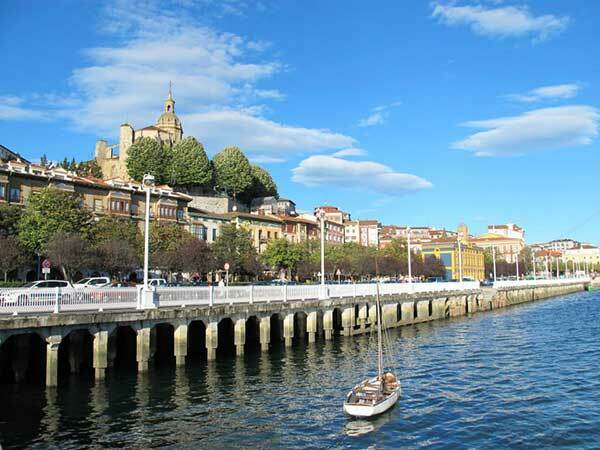 The Camino del Norte or Northern Way is the Camino route taking pilgrims along the wonderful Northern coast of ‘Green Spain’ from the Basque Country, across Cantabria, Asturias and on to Santiago de Compostela, in Galicia. 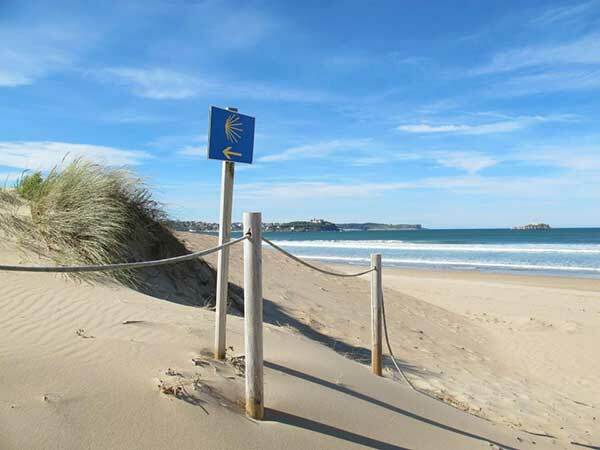 Along this coastal Camino, you will discover fascinating cities and fishing villages, swim in beautiful sandy beaches and taste delicious seafood. 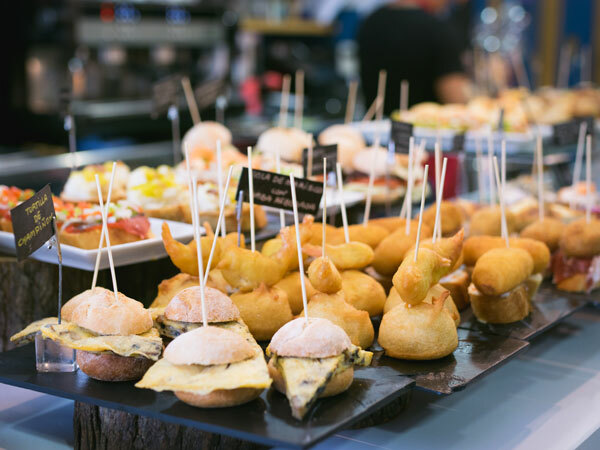 Coastal beauty and foodie culture are at their best on this Camino route. Contact our travel team to learn more about the Camino del Norte. 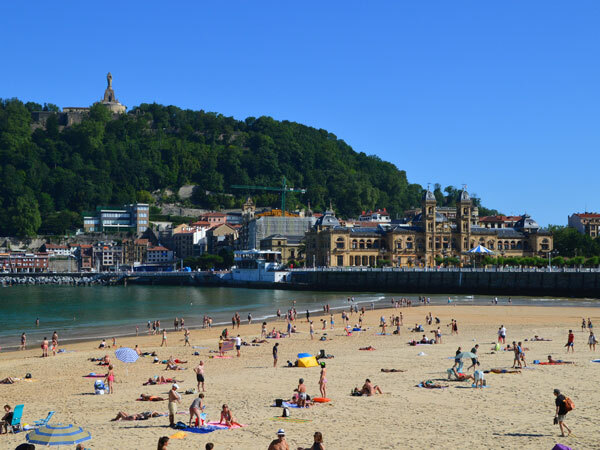 You can start your Camino del Norte journey from the town of Irun or the chic seaside city of San Sebastián (Donosti in Basque) which is a real paradise for foodies: it is in fact in the top 10 cities with highest number of Michelin stars in Europe. Feel inspired at the Guggenheim Museum in Bilbao; stroll by the royal palace in Santander; sample Asturias famous cider; be amazed by the Cathedrals Beach in Ribadeo or step back in time in medieval Mondoñedo. 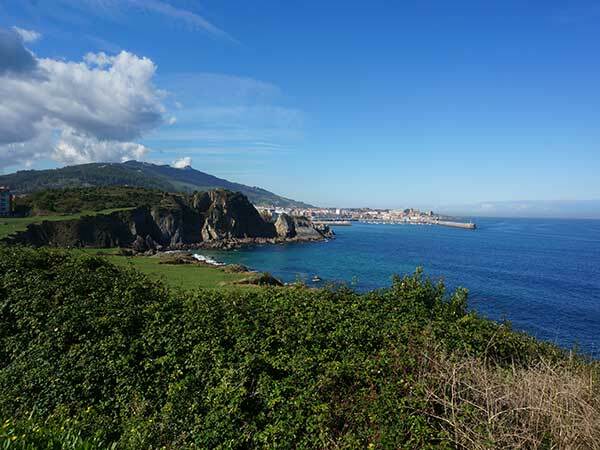 It takes just over 5 weeks to walk the full Camino del Norte from San Sebastian to Santiago. The last 100kms of the trail will take you all the way from the market town of Vilalba to historic Santiago de Compostela. You can also choose to start walking or cycling from different points along the way. In order to get your Compostela pilgrim certificate in Santiago, remember you will need to walk a minimum of 100kms into Santiago (we suggest you start in Vilalba) or cycle at least the last 200kms of the route (we suggest you start in Navia). Along with the Original Camino, the Camino del Norte became a prominent pilgrimage route in the early history of the Camino, in the 9th and 10th centuries. While the Camino Frances then became the most travelled of all routes, the Camino del Norte still maintained a regular flow of pilgrims until the 18th century. This Camino de Santiago route attracted not only pilgrims from the North of the Iberian Peninsula but also from overseas from faraway lands such as Scandinavia, England, Flanders and Germany: many pilgrims would make the journey by sea to some of the ports of Northern Spain before continuing on foot to Santiago de Compostela. Many of them would also stop in Oviedo to visit the relics of San Salvador. From Oviedo you can actually continue your trip joining the Camino Primitivo. The Camino del Norte joins the Camino Frances in Arzúa, a couple of days away from Santiago. 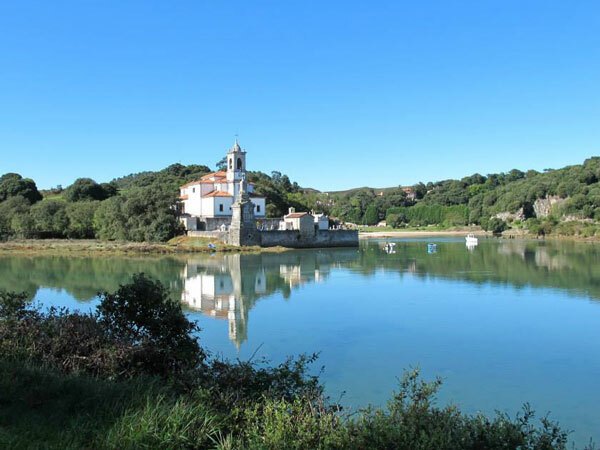 Read more Camino del Norte articles on our Camino blog.